In the far Northwest Corner of Illinois, gardening is a very popular pastime! Get your info here! 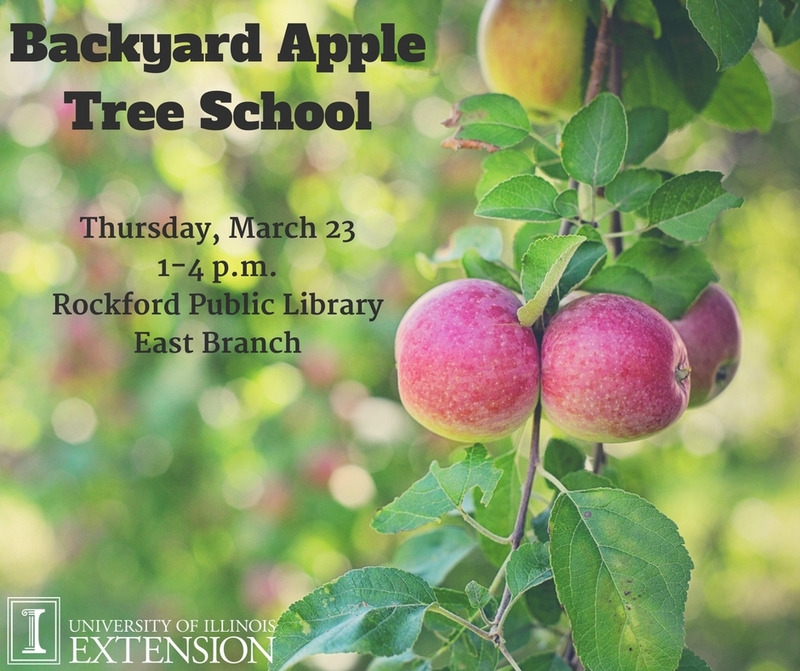 University of Illinois Extension is pleased to announce that Backyard Apple Tree School is coming to Rockford, IL on Thursday, March 23, 2017 from 1-4 PM at the Rockford Public Library East Branch. This program will be taught by University of Illinois Extension Educators Grant McCarty and Bruce Black. Backyard Apple Tree School is for new growers and homeowners and will give an overview of production, weed and insect control, and general management suggestions for apple trees. "We continue to get questions from home gardeners and small growers about how to get started in growing apples or how to manage the apple trees they already have," states University of Illinois Extension Local Foods and Small Farms Educator, Grant McCarty. "As a result, we've decided to host a program for anyone interested in growing their own apple trees." The program will have three main sections – Beginning your apple tree operation, successful apple tree management, and keeping the pests away. Beginning Your Apple Tree Operation will discuss the initial steps to establishing the trees, including site selection, soil testing, site preparation, variety selection and proper planting techniques. Successful Apple Tree Management will address weed management, pruning, irrigation, harvesting and post-harvest handling tips. Keeping the Pests Away will cover information about the specific pests and diseases that you will see in apple crops that can lead to the decline in plant health, and affect fruit quality and production. Participants will learn how to identify these issues on their crops and the methods of control to use. Backyard Apple Tree School will be held on Thursday, March 23, from 1 to 4 PM at the Rockford Public Library East Branch, 6685 E. State St., Rockford. Pre-registration is required and can be completed online here or by calling the Winnebago County Extension Office at 815-986-4357. There is a $15 registration fee, which covers materials and handouts. If you need a reasonable accommodation to participate in this program, please contact the local Extension office at 815-986-4357.